For being found guilty of stealing a laptop and mobile phone at gunpoint, a Lagos High Court sitting in Ikeja yesterday sentenced a 25-year-old male hairdresser, Izunna Ajaere, to death. 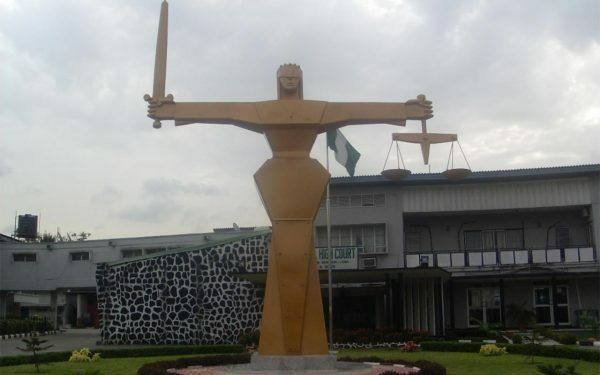 The presiding judge, Justice Kudirat Jose, sentenced him after finding him guilty of two-count charge of conspiracy and armed robbery brought against him by the Lagos State government. “The defendant is hereby sentenced to death for conspiracy to commit armed robbery and sentenced to death for armed robbery. He is to be hanged by the neck till he is dead, may the Lord have mercy on your soul,” the judge ruled. At trial, the prosecution counsel, Mrs. A.B. Awosika, had told the court that the convict committed the offences around 9:30p.m. on June 22, 2012 at No. 12, Vincent Eze Street, Ajao Estate, Lagos. She told court that his offences contravene Section 295(2) and 297 of the Criminal Law of Lagos State 2011, adding that the convict alongside an accomplice had accosted Ukah at gunpoint outside his flat. “Ukah led them to his flat where they stole a laptop, a modem and a blackberry mobile phone. Ajaere and his accomplice after the robbery locked the complainant in his apartment with the intent to also rob his neighbours. The complainant managed to get out of his apartment to raise the alarm leading to Ajaere and his accomplice being apprehended. In his defence, the convict denied robbing the complainant. He said he went to Ajao Estate for hairdressing work and was arrested by policemen during a raid.